So much more than a "laminate trimmer on steriods". 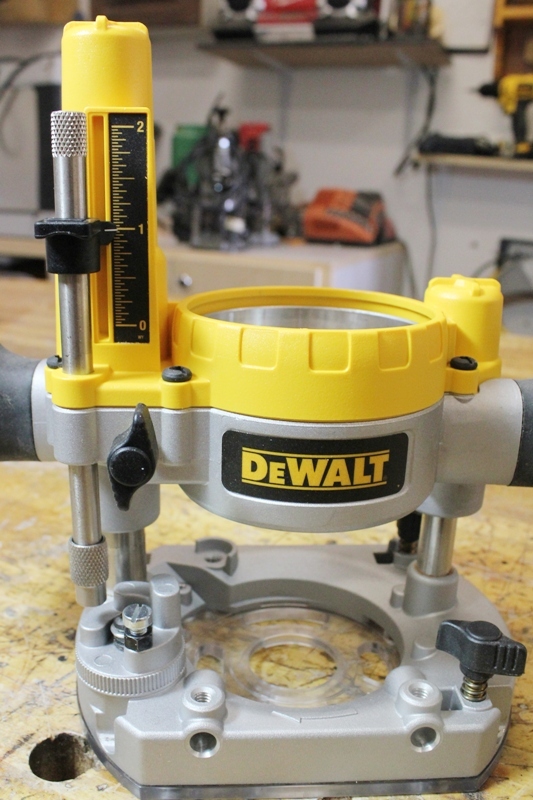 If you’re in the market for a compact router kit that’s loaded with features, you owe it to yourself to check out DeWalt's new DWP611PK. This compact router kit easily exceeded my expectations for a compact router kit of this size and price range, read on and find out why. The 7amp, 1 1/4HP soft-start variable speed motor delivers plenty of power for a myriad of routing tasks and the full-time electronic feedback maintains motor speed throughout every cut I’ve made with this router. 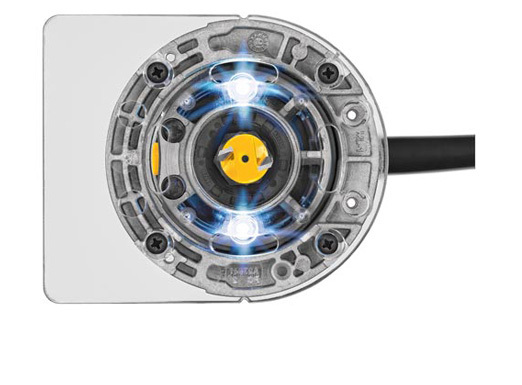 And speaking of motor speeds; this router’s variable speeds, range from 16,000rpm to 27,000rpm and are easily adjusted by turning the speed dial conveniently located right above the on/off switch. The clear rubber protected on/off switch was a little difficult to use in the beginning because it is shielded in the motor housing but the benefits of not inadvertently turning the router on when handling it or the fact that dust and debris will not enter the electronics through this area are benefits that I can appreciate. 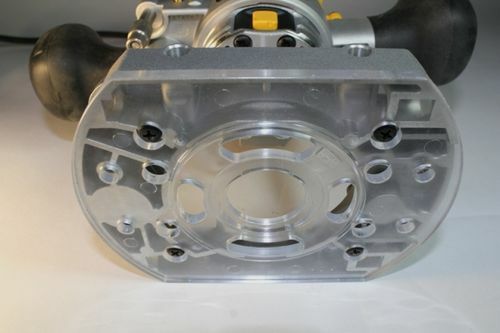 The aluminium body is well machined and the electronics are housed in DeWalt’s tough ABS plastic. The large, low pressure spindle lock button is easy to engage, making single wrench bit changes an easy task. 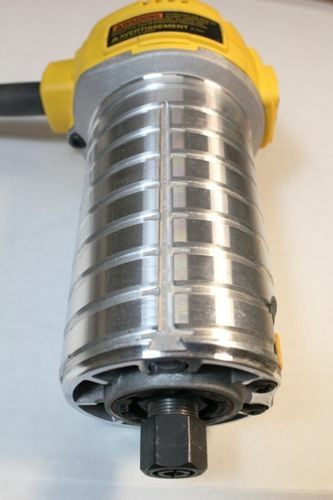 There are 12 shaft lock detents on the spindle making for faster spindle lock ups and quicker bit changes. The extended 1/4” collet is a full 7/8” long and has a total of 8 slots cut into it maximizing surface contact with the router bit shank providing a tighter grip on the bit and less vibration in use. 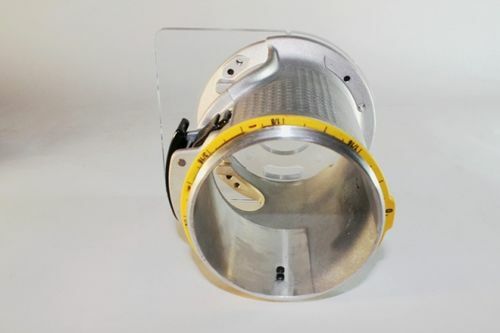 The fixed base allows up to 1 1/2” of depth travel using the large adjustment ring and coupled with the yellow fine adjustment ring, facilitating depth changes to within 1/64”, it’s easy to quickly “dial in” and fine tune depth adjustments. The fixed base has a raised textured surface machined into it which provides a positive, slip-free grip on the router’s body. A real nice safety feature when working in a dusty environment. I found the fixed base to be very stable in use with its extended (4”x4 3/4”) clear polycarbonate base which provides greater work surface contact for improved stability and control. The bit opening in the sub base is 1 7/16”, which is large enough to handle the router bits used with this router. 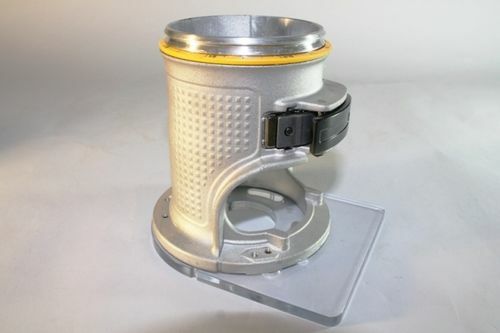 The footprint of the plunge base is a large 4 3/8”x5 3/4” which provides stability when performing various routing operations and the sub base has been made to accept universal (1 3/16”) template guides, commonly referred to as Porter Cable style template guides. The plunge base travels very smoothly and effortlessly through its 2” of plunge travel on firm but not, stiff springs. The large, easy to locate plunge lock lever operates well and doesn’t require much hand movement off of the router’s handle to engage or release it. 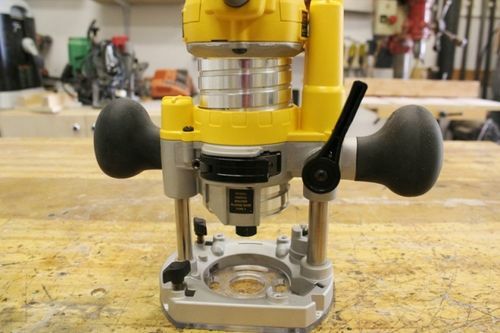 The plunge lock lever is exactly where it should be and locks the router firmly in place when engaged. Although this router doesn’t come with adjustable handles, I never found myself wanting to change their position. The placement of these handles make it easy to manipulate the router and the moulded rubber handles provide a comfortable and secure grip even when my hands are covered in sawdust. Another nice feature of this router is that the base has been designed with two flat sides instead of a completely round base or a single flat sided base. I can use either flat side of this router base to ride up against a straight edge when the need calls for it. It’s one of those features you don’t realize you need until the day that you need it. 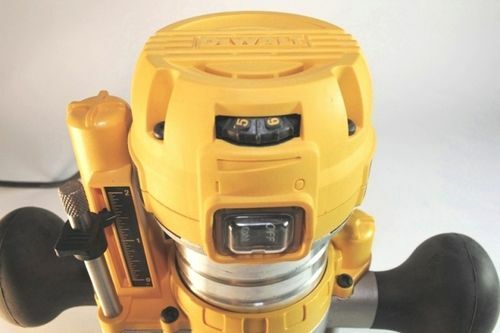 Plunge depths are controlled by a 5 position rotating turret stop (4 fixed & 1 adjustable) and there is a 2” depth scale that features 1/32” increments located at the top of the plunge base housing for referencing plunging operations. There is also a micro adjustment feature on the plunge adjustment rod located at the bottom of the adjustment rod nearest the turret stop. 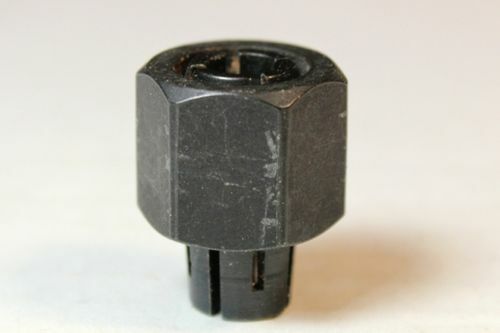 The bottom knurled portion of this rod can be turned clockwise or counter clockwise to “dial in” that very precise adjustment frequently needed. Let me know if you have any questions, I’ll help you out the best I can. Thank you Gord, when I get it I will let you know. Also will let you know my thoughts on it. Everything I have read and seen so far, it looks like a winner to me. Gord is it available in Canada? Last time I checked it was not going to be imported here. Buying it would complicate a warranty. 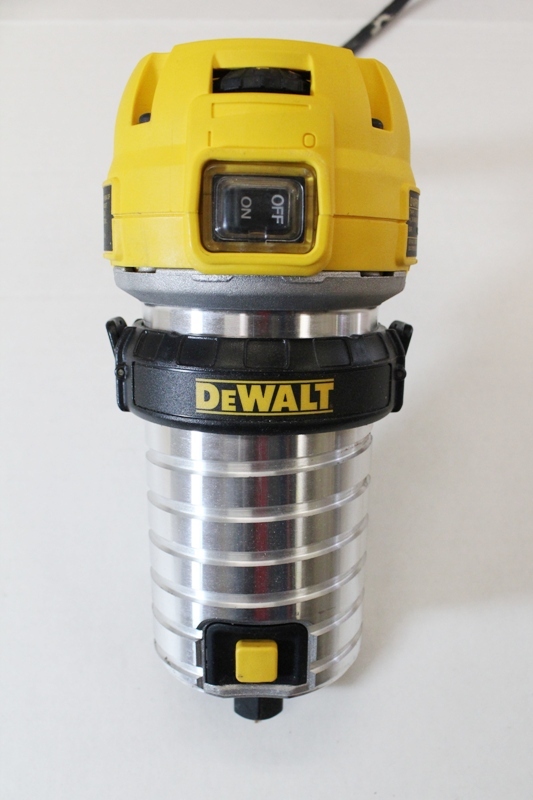 I was kind of bummed out with Dewalt for this decision. I guess with the shrinking economy in the US the Canadian dollar is looking pretty pretty pretty good to them now. Yes, it’s available in Canada. I just checked the DeWalt site and they list a bunch of stores in my neck of the woods that carry them. Thanks Gord. I tried that before I POSTED AND ONLY GOT A NUMBER OF US VENDORS. They generally try to ship UPS and that entails addtional Brokerage and shipping costs. The warrantee is toast if you have a problem. There is no way I will pay a premium to deal with Dewalt. I want the same deal as all their other customers. Somehow, they just don’t get it. cool, but I needed sun glasses to keep the reflection from yer head, outta my eyes. I,m impressed ! Now i want one ! Gord do you know the price range for this router roughly ? Great review. I have this router and I agree that it’s super. So versatile and easy to use. A really nice size in your hands, with enough oomph to do quite a lot. I’d even recommend it as a “first router” for people just starting out… . Thanks for your kind words, glad you liked the review. Street price of this kit is around $200.00 Canadian and as for availability, I’ll check into that. And theil you’re absolutely right, it would make a great “first router”. Gord, this a a well produced video (as always I might add) that covered the router pretty well. I have been considering getting a laminate trimmer and have always been a DeWalt fan. This one looks like a tool that I might have to add to my tool collection. Thank you for the review It helped me feel a tad better about my recent router order of the DW618PK Kit I ordered 2 weeks back. I would like to hope the 618 has many if not all the same features. I however am disgusted to find out all orderers for the 618 have been backorderd until late June. None of the big box stores or lumberyard stock these kits except around Christmas. 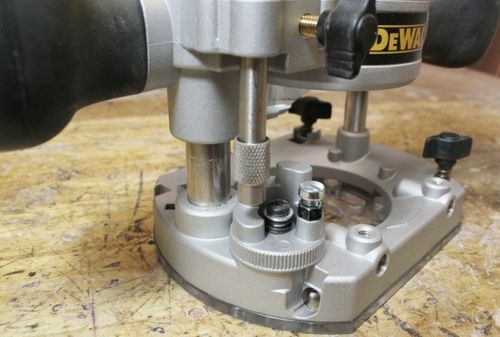 I originally saw my 618 in Fine Woodworkings Tool 2010 Guide and was convienced the DeWalt product is a solid product as I already own some cordless units that like you said resist breaks from the impact plastic housings. Thanks for taking the time to write a great review. I put a lot of stock into this type of info before spending my hard earned money. Questions: Would you say this type of router completely takes the place of a laminate trimmer (and posseses the ability to do a whole lot more)? I’m pretty close to pulling the trigger on a laminate trimmer, but might hold out for a compact router instead. Any reason to have both?? I already have a fixed and plunge router. In your opinion, would I be better off supplementing them with a $90 laminate trimmer? Or is the Dewalt revolutionary enough to warrant the extra $100? I’m definitely tempted to buy the compact router after this review.